A content management system (CMS) is a software application or set of related programs that are used to create and manage digital content. CMSes are typically used for enterprise content management (ECM) and web content management (WCM). ... A WCM facilitates collaborative authoring for websites. Easy for hackers to find security holes – As you know WordPress theme and plugins are freely available on internet as Open Source code under the GPLv2 license. So it is easy for hackers to find security holes. 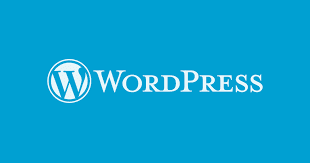 WordPress needs to be updated regularly – WordPress needs to be updated regularly because various updates and patches get released every year to combat pirates and hackers as well as to provide improvements to code and themes. PHP language is must for modification – Operations like creating widget,removing a date field from theme and customize plugins require some understanding of PHP language. CSS and HTML are must for graphics modification – If you want to change the look of home page of website, CSS and HTML are must for modification. Speed Issue – If we build website in WordPress, there are speed issues because WordPress websites contain lots of generic code unnecessary for every specific website. Easy in use – Using WordPress basic sites can be set up with easy access to all on page text and images. Beyond that, with a little upfront technical work, there are many ways to set up custom modules and text areas which, once implemented, can easily be accessed and edited by anyone with rudimentary computer skills. WordPress does not require PHP nor HTML knowledge unlinke Drupal or Joomla. A preinstalled plugin and template function allows them to be installed very easily. All you need to do is to choose a plugin or a template and click on it to install. Cheaper to build – WordPress offers a huge variety of themes which can be used to build the website. When you begin with a theme, you cut down significantly on the amount of time it takes to build a website. The cost of purchasing and installing a commercial WordPress theme is much cheaper. The cost and time for developing a WordPress site is considerably lesser than creating a custom built website. Large developer community creating themes and plugins – WordPress offers more paid and unpaid themes and plugins than any other Content Management Systems. This means that when you want a feature added to your website, there is a good chance that you will be able to find a plugin that exists for it. Open Source – WordPress, and many of the themes and plugins for WordPress, are freely available as Open Source code under the GPLv2 license. It means you can use there without paying any cost. Search Engine Optimization Tools – WordPress offers several great search engine optimization tools that make doing your own on-site SEO simple. E-commerce options is available on WordPress – There are suitable e-commerce integrations for nearly any size site or application, and many basic plug-ins are free. Woocommerce is extremely effective in doing all this along with offering great reports features.